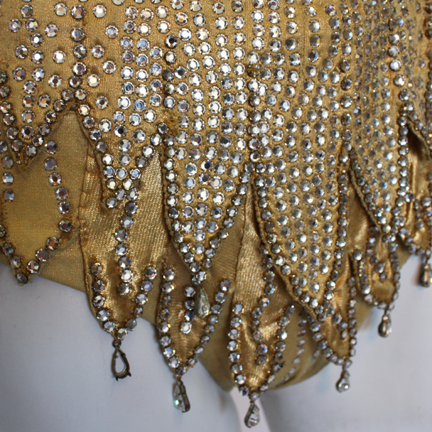 This gold rhinestone encrusted bodysuit was worn by legendary entertainer Britney Spears in the video for the title track from her 2008 comeback album “Circus”. Britney appears wearing the garment with the back unzipped in several scenes of the video during the sequence where she dances in front of a falling shower of pyrotechnic sparks. 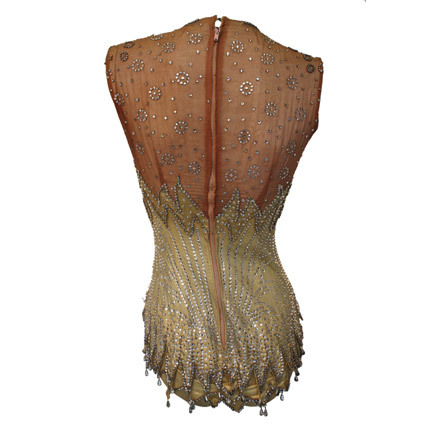 She also appears wearing this garment on the cover of the single for the song, and appeared wearing it again in a photograph from the cover article of the December 2008 issue of Rolling Stone Magazine. 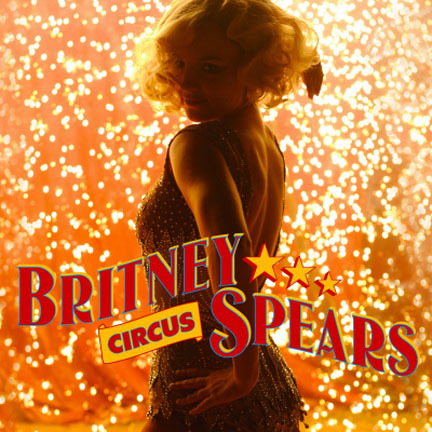 “Circus” debuted at #1 in U.S. record sales the first week of its release in 2008. This signature piece from the video, single, and title track of Britney’s phenomenal comeback album is an impressive artifact of musical history that would make a wonderful addition to any collection of musical memorabilia. 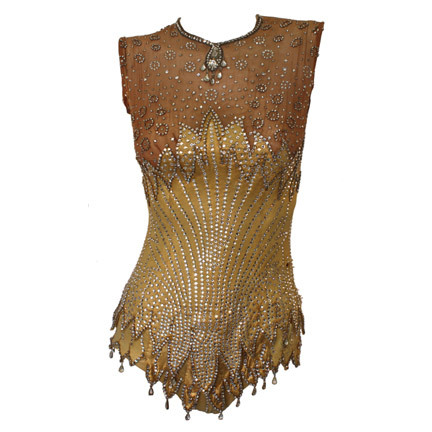 The vintage garment has been used previously by assorted celebrities in numerous productions prior to Ms. Spears and is in good condition with some minor evidence of age as seen in the video. Accompanied by a letter of authenticity from the costume house. 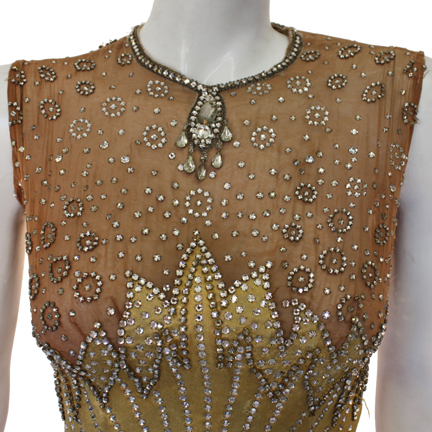 Presented by The Golden Closet, your premier source for iconic motion picture, television, and music memorabilia.